anakpanyu......slowly walking towards the finish line: New Page Element!!!!! I've added a new page element on the right hand corner. It is where all registration forms can be downloaded. 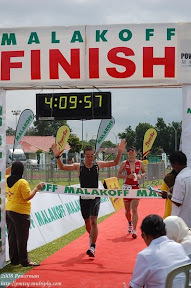 I've added Brunei 21K half marathon and HSBC HoB Challenge. Feel free to download tapi hantar tah sendiri ke organiser. Jangan di email balik arah ku...talurrrrrrrrrrrr tu !! !